The Essex Senior League is eight divisions from the Premier League, but the world of its clubs is so far removed from the glamour and glitter of the elite that they may as well inhabit different universes. This is football as a hand-to-mouth existence, where players are seldom paid much more than expenses and clubs subsist on crowds that often fail to reach even three figures. 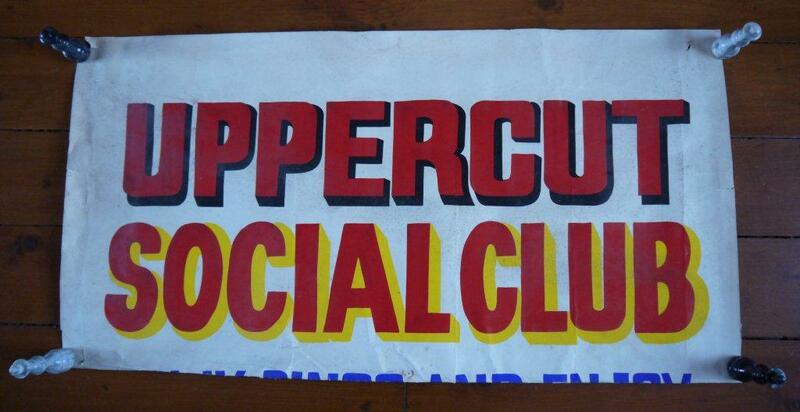 It is also a level at which clubs that have fallen upon hard times find themselves in. One such club is Clapton FC. Twice winners of the Isthmian League and five times winners of the FA Amateur Cup, Clapton have finished in the top half of any division of which they have been a member just twice since 1936. 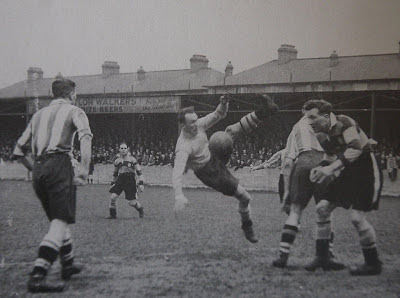 So, winning might not be everything to them, but the club's on-going existence is under threat as a result of mismanagement and the threat is, perhaps unsurprisingly, related to the club's home ground, the Old Spotted Dog Ground. 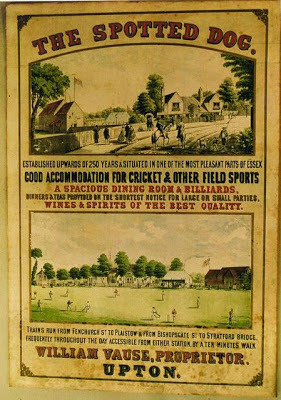 The club signed a 100 year lease on the ground in 1992, through a company called Clapton Trust Limited, which was subsequently renamed as the Newham Community Leisure Trust Limited, in order to emphasis the difference between it and the football club. In the same year, it acquired charitable status. Vincent McBean was co-opted on to the board of NCLT on 8 January 2000, and he later also became Chief Executive of the football club, itself. NCLT was struck off by the registrar of companies for failure to file accounts in 2003, but the company continued to trade and in 2005 McBean wrote to the owners of the freehold of the ground, asking if he could buy it. The offer was rejected. Two years later, the Charity Commissioner, having noted that NCLT had been struck off by Companies House, removed it from their register, because, in their view it had "ceased to exist". In 2008, however, Mr McBean successfully applied to the High Court to get NCLT re-instated at Companies House, but this reinstatement would come at a cost. The Trust was made to sign an undertaking not to trade or dispose of the lease. In 2009 it filed small business accounts, which meant that the company was reinstated. The company filed no further accounts, and on 8 January this year Companies House wrote to the NCLT, giving them three months to show a reasonable cause as to why the company should not be struck off the register. It finally submitted a set on 13 March. They showed the Trust to have made a small trading loss for the year to 31 December 2011, of £2,700. Full details can be found here . If the NCLT had been struck off, the lease of the Old Spotted Dog Ground would have been forfeited and if that had happened, it would have reverted to the freeholders, who have no legal obligation to offer a new lease to the club. It is with this in mind that Friends of Clapton FC was formed (see above, for contact details), who have been in contact with Supporters' Direct, with the aim of getting the leasehold of the ground put into the fans' hands. In the meantime, Clapton Football Club continues to subsist on the most threadbare of resources. The team, effectively, has to fund itself, which includes buying and washing its own kit, paying for their own match balls and travel, and it has even been suggested that players should be held responsible for their own fines. The NCLT has already overseen the club lose its Isthmian League status, which, having been one of the league's six founding members in 1901, it proudly hung onto for over a hundred years, before relegation in 2006. 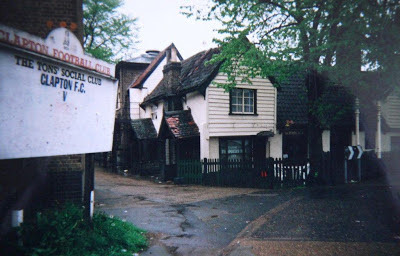 Its death would mean that only one of the original six that founded the Isthmian League - Civil Service FC - survive in its original state. On a more positive note, a victory on the last day of the season saw the Tons lift themselves from the very bottom of the Essex Senior League, to finish 18th (out of 19), having recorded 3 victories, 12 draws and 21 defeats during the season. They finished the season with 21 points, with a goal scoring record of 37 for and 77 against. We know that it wasn't the best season, but the club is on the up. We have great fans and players who are in it, together and they created a superb atmosphere. Tell your friends to 'Come along', because there is more life in the Old Spotted Dog, yet. The Old Spotted Dog Ground, home to the club for 125 years, remains under threat with poor attendances and apparent lack of harmony and stability between many of those associated with the club. Maybe its true that Clapton FC doesn't mean a whole lot to many people, but it is a name that has been a part of the landscape of English football for more than a century. To lose it would be an upset for football in the country, and for the local community's heritage. The apparent neglect accorded to both the pub and the football ground indicates either a huge amount of slackness by officials and owners alike, or some appreciation of the valuable real estate that would be freed up if the "inconvenience" of local heritage concerns could be overcome. We could not possibly comment. 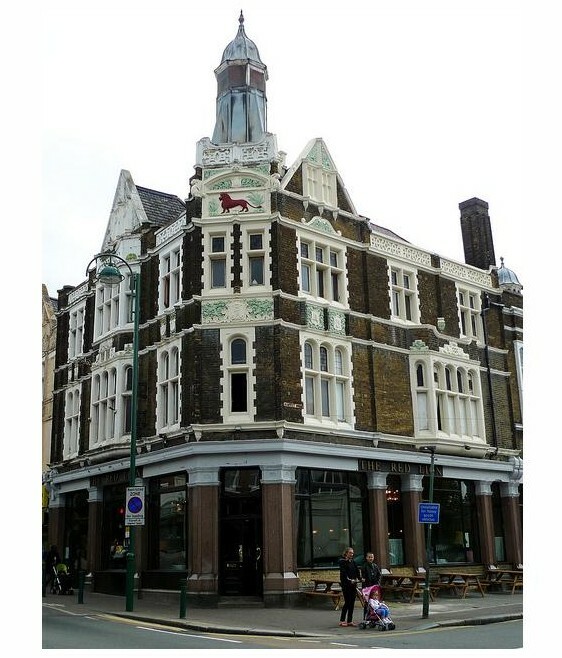 We can, however, ask you to do whatever you can to help preserve these two vital pieces of Forest Gate heritage, unless, of course, you'd like to see a few more soulless buildings replace them. This coming Friday (31 May) will be a significant one in the diaries of fans of sixties Soul music. BBC 4 will be running a series of programmes on Otis Redding, and his impact on British popular music. The advanced programme publicity promises "unseen home movies from his 1967 tour of Britain". 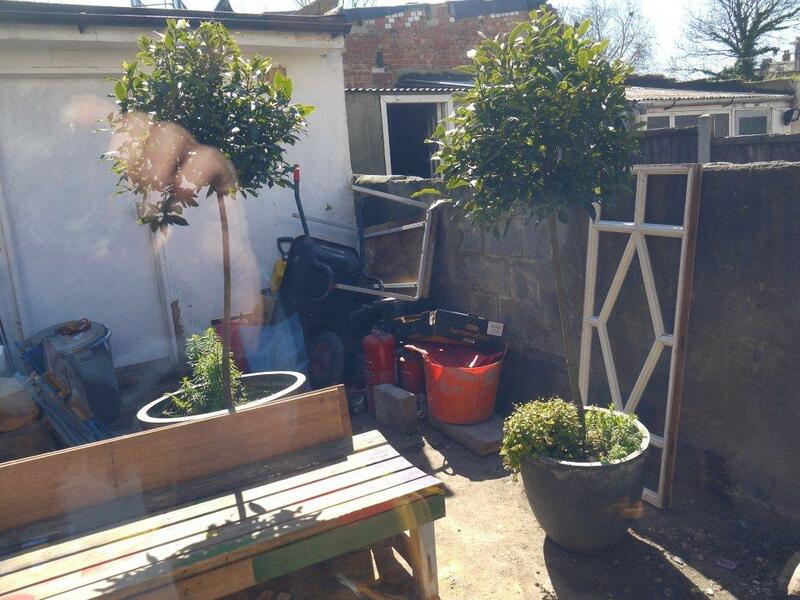 Whether this includes footage of his time in Forest Gate remains to be seen. He appeared at the Uppercut club in Woodgrange Road as part of that year's Stax /Volt Studios package tour of Europe that year. The photo above was a publicity shot promoting his appearance locally in March 1967. He had recently had chart success on both sides of the Atlantic with his rendition of Try a Little Tenderness, recently named by Rolling Stone magazine as the 204th greatest song of all time. The link, above, will take you to a You Tube clip him singing the single version. We will be featuring the history of the club, which is now commemorated by a local historical plaque, on the gate next to Percy Ingles, over the coming weeks. The Uppercut only lasted a year and was owned by then British heavy-weight boxer, Billy Walker (known as the Blond Bomber) and his manager -brother, George - hence the boxing-related name, in 1966. A useless bit of Walker-related trivia is that Simon and Garfunkel's track The Boxer was written about Billy. 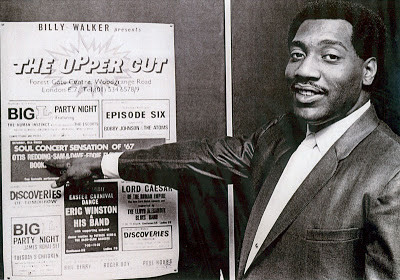 The Stax tour featured other Soul greats, such as Sam and Dave, Eddie Floyd, Arthur Conley and Booker T and the MGs, all of whom accompanied Otis on his date in Forest Gate. One attendee at the gig recalls, on a website dedicated to Soul music, that "Otis was brilliant, but from memory, Sam and Dave got the best response on the night." Truthfully, I have long forgotten what everyone else on the show was like that night - I only had eyes and ears for Otis, despite the fact that I had records by everyone else on the bill. It will always be up there with the very best nights of my life, even if I live to see another million of them. Redding died in a plane crash nine months after the Woodgrange Road gig, but not before a starring appearance at the Monterey Pop festival of that year and cutting his critically acclaimed hit Sittin' on the Dock of the Bay, the first posthumously published number one hit. For further details of Otis' career, see his Wikki entry and www.soul-source.co.uk, from where the quotes from his gig attendees have been taken. 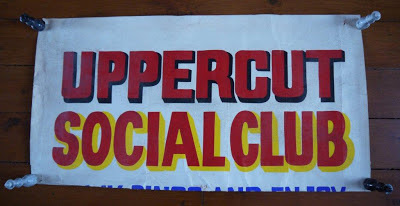 This site has published a number of articles on the history of the Upper Cut club: the first detailing the time when Otis visited it, in March 1967. This post was followed by two, recording the first six months and the final six months of the club's existence. These posts were followed by almost monthly updates on who played at the club, that month, 47 years previously. 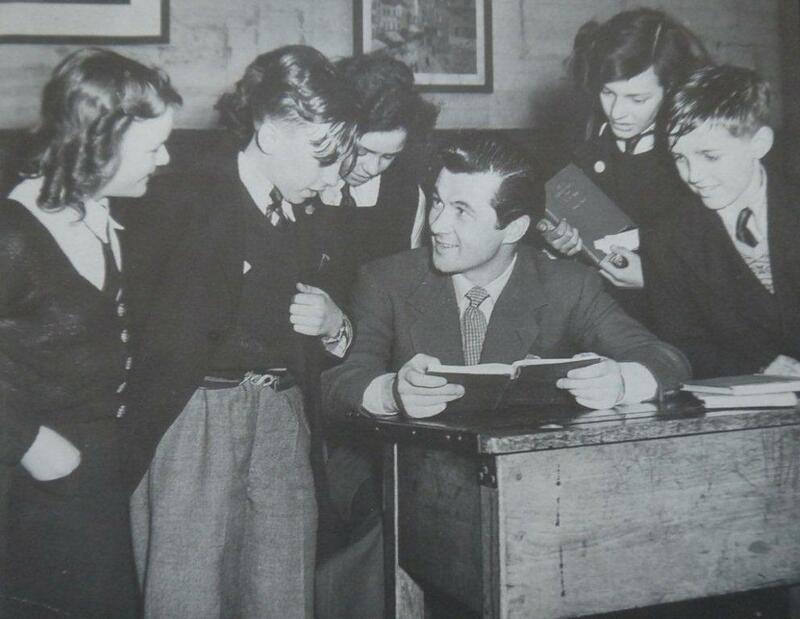 The final blog is a record of a recent meeting with former boxer, Billy Walker, the name under whom the club existed, on his memories of it and Forest Gate almost half a century ago. Below is a list of those blogs: the hyper links are the titles of the articles, and when hit upon should give access to them. The dates (in italics) are the time covered by the blog and the date in bold are the months the blogs were posted. Although the content, and some of the comments on the individual posts, is pretty definitive, we'd love to hear any memories readers may have of the gigs, or corrections they could make to the copy. 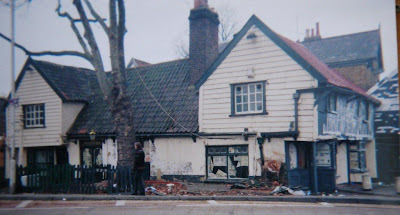 The Spotted Dog on Upton Lane, the oldest secular building in the borough, has been in a dreadful state of desolation and decrepitude ever since the night in June 2004, when the latest in a long line of landlords made his final call of "Time!" and so ended a tradition of hospitality stretching back over 500 years. 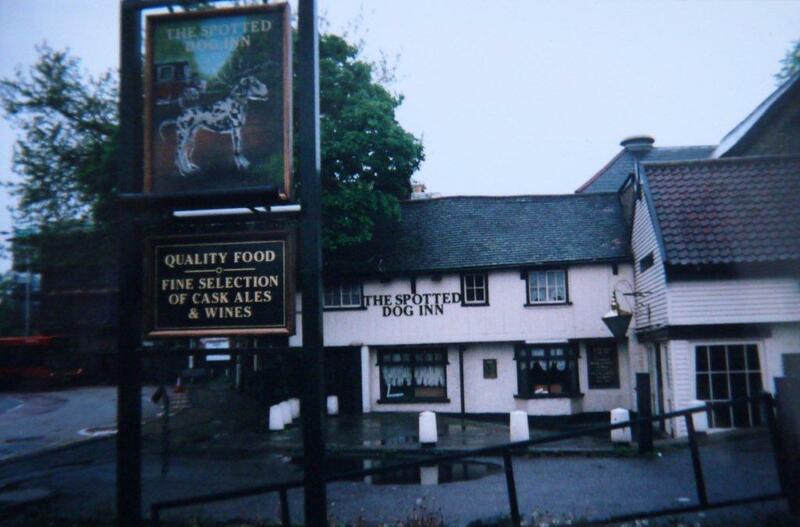 Enraged local residents and campaigners have formed a lobby group called "Save the Spotted Dog". But will this be enough to preserve a unique part of our local heritage and a building of national historic significance? 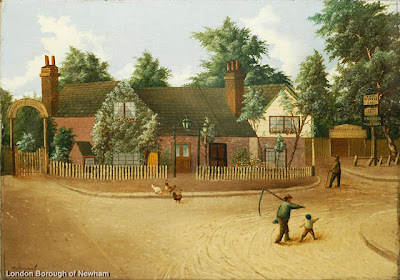 In 1950 the government included the then-thriving public house in its National List of Buildings of Architectural or Historic Interest - one of only three entries accorded to the pre-Newham borough of West Ham. The earliest part of the timber-framed building, dating back to the decades between 1490 and 1510, is the central range comprising a two-bay hall, with an open crown post roof and a two-story cross wing also timber-framed to the east. The cross wing on the other side is slightly later; and the subsequent phases of the Georgian and Victorian periods (with some final additions in the 1960's) add to the interest of the building, by helping to tell a story that has lasted half a millennium. a well-surviving, if simply constructed, late 15th century or early 16th century house (with an) interesting interior ... (and) ... particularly poignancy as a rare-surviving late-medieval building in this area, evoking the rural character that could be enjoyed here (before) this part of old Essex was lost to the expanding capital. In fact it is the only surviving medieval domestic building in the borough and the third oldest after the Norman parish churches of East and West Ham. 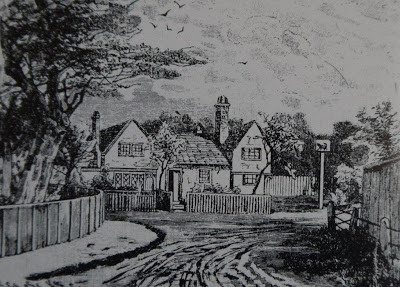 The most authoritative source the Victoria History of the County of Essex (vol V1, p 51) - states that in the parish of West Ham: "it is likely that about 100 pre-17th century homes survived still in 1742. By 1970 only one (i.e. The Spotted Dog) was known to survive." The best and last examples of a long building history. Many are irreplaceable. Old buildings form part of the memory of a community, serving to remind us all of who live in that area and how customs, life-styles and work functioned in the past. They also provide an indication of the extent to which change has taken place and, in doing so, they give meaning to the present. 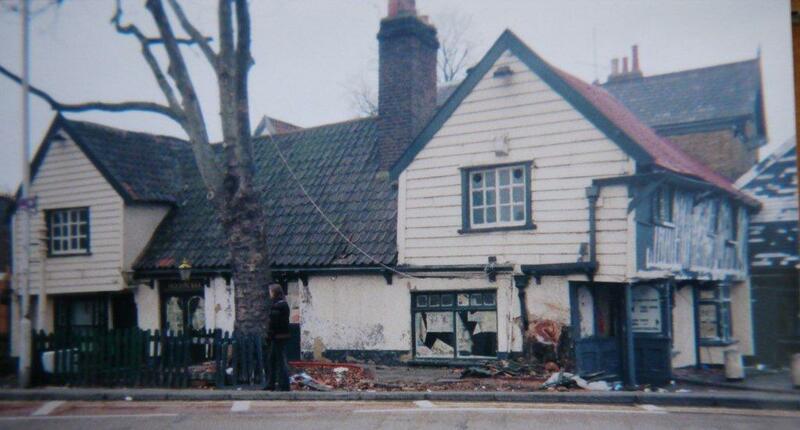 Back in 2004 a shift in the tastes of Newham's changing population and escalating local violence were cited as contributory factors in the closure of the pub. Hopes of a speedy re-opening and the preservation of the unique corner of Forest Gate started to appear somewhat forlorn. 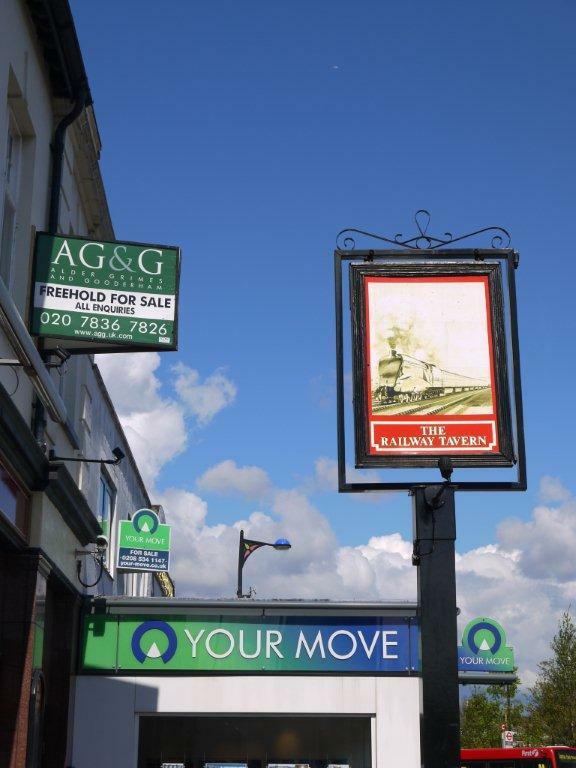 Local resident Bill Booth told the Forest Gate Times (April 2005) that he feared the worst when he spotted the pub's famous statute of Henry Vlll lying headless and discarded in a skip. 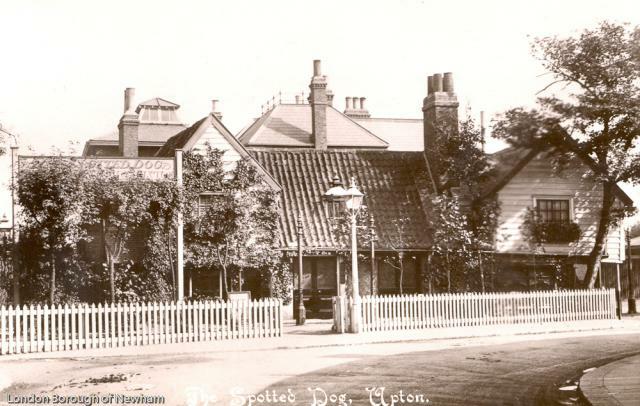 But is there any justification to the claim that the pub was named the Spotted Dog because Henry Vlll kept his hunting pack kennelled there? A careful review of the few available sources suggests that this traditional link is far less fanciful than might otherwise be supposed. huge barn-like structure in the vegetable garden ... (of the pub) ... wantonly sacrificed by the new proprietors in the interest of a bottling store ... (which had) ... anciently enclosed the kennels for a pack of royal hounds. He asserts that when Henry Vlll followed the chase in the Essex (Epping) Forest, he: "took up the hounds here at Upton" about a mile from the toll-gate which subsequently: "gave the name of Forest Gate to a new residential district." 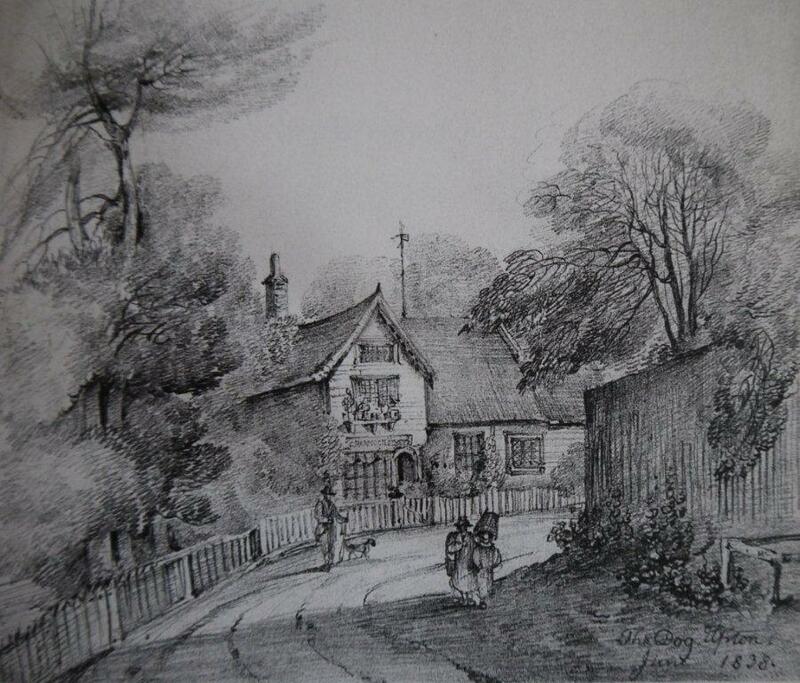 Some credence can be attached to this tale because having dissolved Stratford Langthorne Abbey in 1538 and seized all of its enormous land holdings in the borough Henry V111 used his own money to purchase the nearby Hamfrith Wood from its owner, Sir Anthony Hungerford - presumably to facilitate his love of hunting. 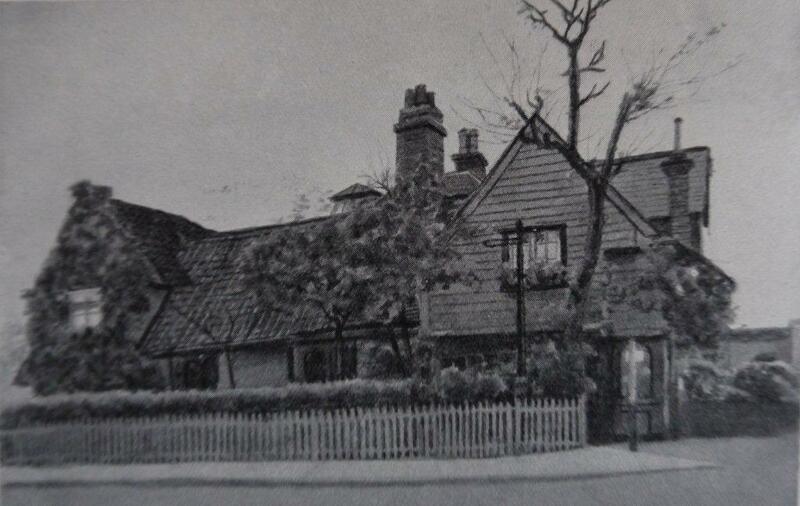 Mr Wagner provides some intriguing details in support of his account stating that what became the Spotted Dog was at the time the residence of Henry's Master of the Hounds, who was granted the privilege of taking personal profit for refreshing travellers passing that way. Few historic hostelries ... have preserved their pristine freshness like Ye Olde Spotted Dog ... (its) ... picturesque, ivy-mantled wooden fabric ... appears very much today as when Daniel Defoe referred to it in his History of the Plague in London ... when ... (in 1665) ... those able to escape came to encamp in the fields round about, and again after the Great Fire the following year. The isolated rural hamlet of Upton must suddenly have seemed like a medieval version of a giant gigantic refugee camp! 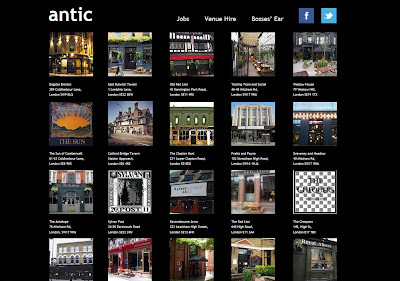 In Mr Wagner's opinion: "the Spotted Dog is the most captivating 'house of call' in the environs of the Great City. He describes a large painting (hanging on the west wall of the public bar) bearing the arms of the City Corporation and the date of 1603, and constituting a: "memorial of the meetings of merchant princes for eight years continuously while an earlier plague carried off thirty thousand souls." Historically, the building is of considerable interest. A plaque used to exist, showing the Arms of the City of London and the date 1603 ... to commemorate meetings which City merchants ... held in the pub during periods of plague. It is incredible to think that 400 years ago we hosted the Stock Exchange here in Forest Gate! 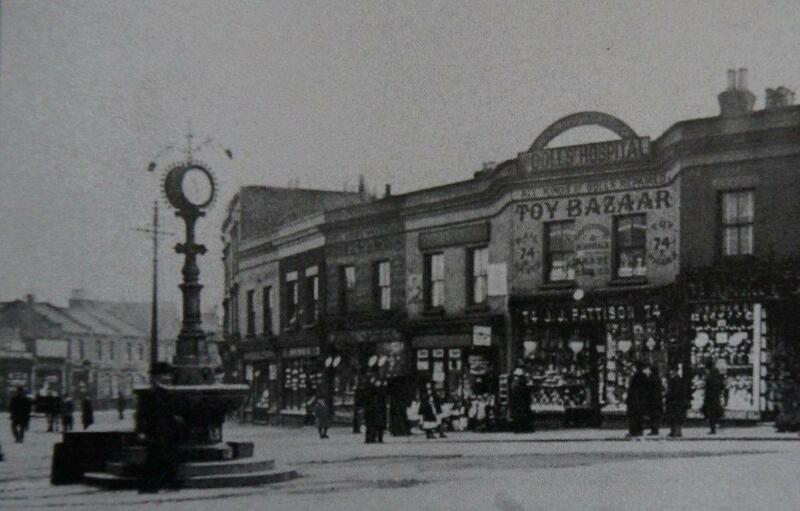 But surely greater even than its historical importance is the building's unique significance as the last example we have of an ancient building history The story of Forest Gate and its constantly changing way of life is mirrored in the character of its buildings. In the earliest days communities were small and remote and livelihoods which were based on the land. Upton in particular took on a new identity with the arrival from the 1730s of families of entrepreneurial Quakers and East India Company people - and the already ancient Spotted Dog bore witness to their country retreats and extensive gardens. Of course, it was in the Victorian era that the borough saw its most dramatic change with the arrival of the railways, the docks, and all manner of other industries. To service these vast new enterprises - and make a better life for themselves - over a quarter of a million people came to live in street upon terraced street. Almost nothing was left of the fields, farms and country houses of earlier times, and since then much more has been lost, a process speeded up by the devastation of war and the consequent need to re-house in-comers and the homeless. Currently Newham's mayor is presiding over what is referred to as a "supernova of regeneration exploding over the borough". With so much that is new and such huge promises made for the future we are in danger of completely obliterating our past. What better reason could there be to try and Save the Spotted Dog? One of Forest Gate's most famous sons, Bryan Forbes, the dynamic actor, novelist screen-writer, producer and director of films such as Whistle Down The Wind, The L-Shaped Room and The Stepford Wives has died aged 86. The Times - usually a reliable source of information - in its obituary and report of 9 May mentioned only Stratford when describing the formative years of the multi-talented Mr Forbes. But from his birth (as John Theobald Clarke) in 1926 to his evacuation as a 13-year-old in 1939, he was brought up in a terraced house in Cranmer Road - one of several obliterated in the early days of the Blitz. 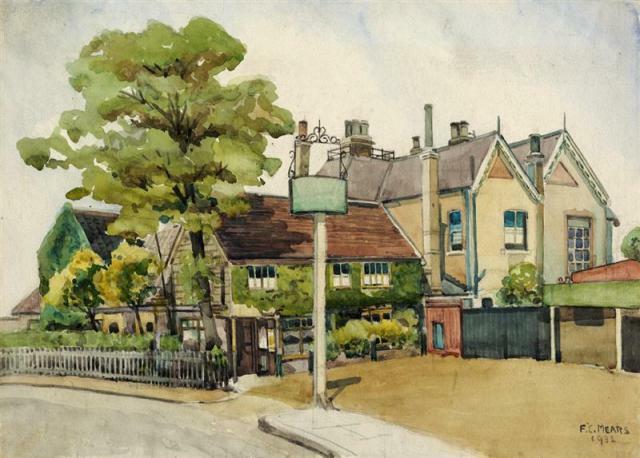 His grandparents lived in Odessa Road, and he was a pupil at Godwin Road Junior School from whence he won a scholarship to the former West Ham Secondary School - now Stratford School in Upton Lane. Writing exclusively for the Forest Gate Times ('Bryan Forbes Remembers Forest Gate' September 2001) he recalled a happy and carefree childhood ("to me they will always be halcyon days") playing on the Flats, haunting the local fleapit, the Splendide Cinema in Forest Lane - formerly on a site now occupied by the Community School's new multi-coloured bar-code block - and spending his pocket money on bits of Meccano at Pattison's Toy Bazaar and Doll's Hospital opposite the station. We will return to his wonderful first-hand account of pre-war Forest Gate as soon as time allows. 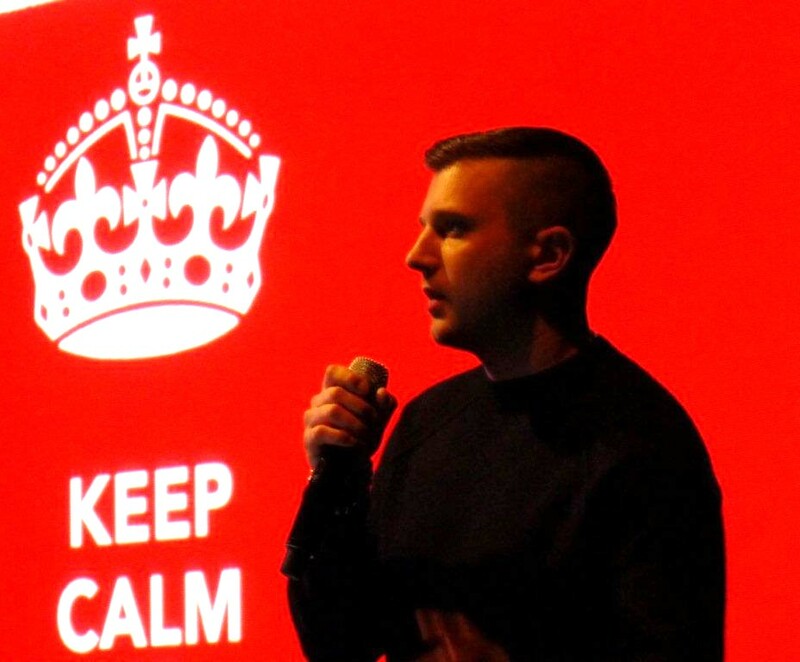 Forest Gate's Ben Drew, Plan B as he is best known in the music world, launched his own charity Each One Teach One Trust at Hackney's Chat's Place on Tuesday night. Our photographer, Lloyd Jeans, was there to record the event. The University of Alternative Learning. It is not a physical place, but a way of thinking. It is an innovative movement of dedicated groups of people who will help us create opportunities and enable positive, long term changes in the lives of young people. We work with inspiring individuals to give young people new skills to increase their confidence and improve their chances in life. We provide a fresh approach to addressing these problems and believe in the potential of every young person. There are lots of details, video clips of Ben and his aspirations on the charity's website: www.eoto.org.uk. Why not give it a look? 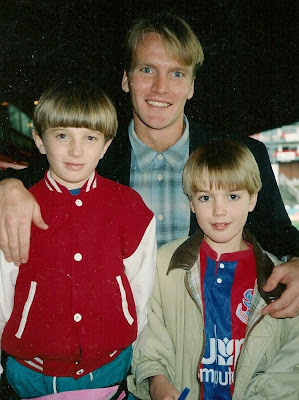 Meanwhile, here is a photo of Ben twenty years ago, at his first football match at Selhurst Park, home to the mighty Crystal Palace. He is with then Palace player, and England international Geoff Thomas, and his school friend, big Eagles fan and now New York resident, Owen Walker. 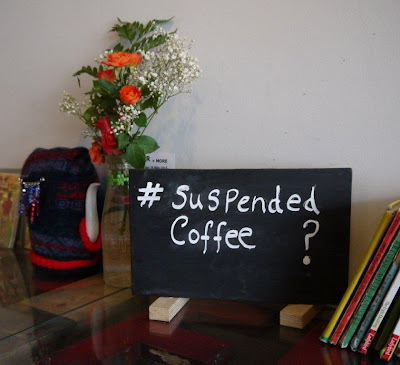 It was during the week leading up to Easter that Mic Clarke, one of the four proprietors of Forest Gate's newest cafe, CoffeE7 at 10 Sebert Road, asked my friend, Rod and I: "Have you heard of Suspended Coffee?" Neither of us had, but the idea, he explained, was simple: a cup of coffee paid for in advance as a small, anonymous, act of kindness. 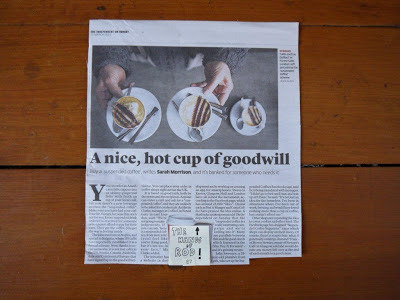 If a customer felt so inclined, then the price of a second hot drink could be handed over, recorded on a list, displayed on the wall, and later claimed by someone who could not otherwise afford it. The "Caffe sospero" tradition began a century ago in the working class cafes of Naples, and quickly became a symbol of grass root social solidarity. 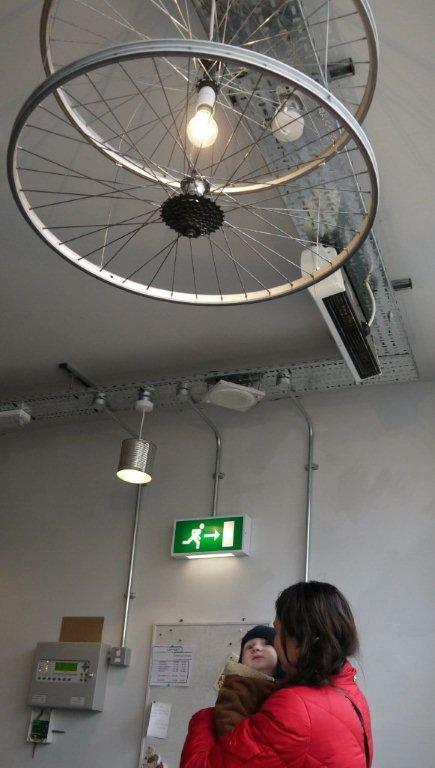 The idea sounded just right to Rod and I, who must be in contention for CoffeE7's most regular customers, so we said would support the scheme, as and when we could. It was over the following 48 hours that we witnessed first-hand the amazing power of the social media. 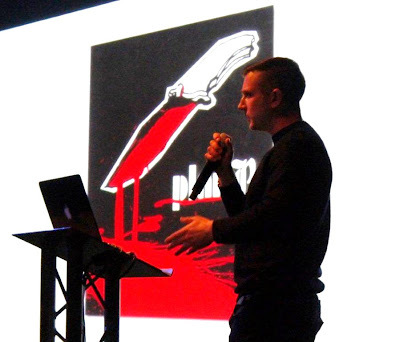 Two of the younger members of staff, Tom Graysham and Dan Hyland, noticed the scheme mentioned on Facebook and brought the idea to work with them the next day. It was discussed, approved and launched, and Nigel King was the first customer to participate. It didn't take very long for the initiative to be picked up by the news media. The Independent on Sunday was first off the mark. Manager, Hettie Clarke, gave a telephone interview and on 30 March, photographer, Jason Alden, arrived to snap the hands of Rod. At 7.20 the next morning BBC Breakfast News chose the story as one of four featuring on their newspaper review. Time Out was next to feature the scheme, on 9 April, followed by the Evening Standard and over our very own Newham Recorder. The on 16 April came BBC voice journalist, Suraj Patel, whose carefully edited item appeared on BBC News 24, on 24 April. "Brilliant idea ... CoffeE7 is on the news ... Forest Gate truly is the new Dalston! 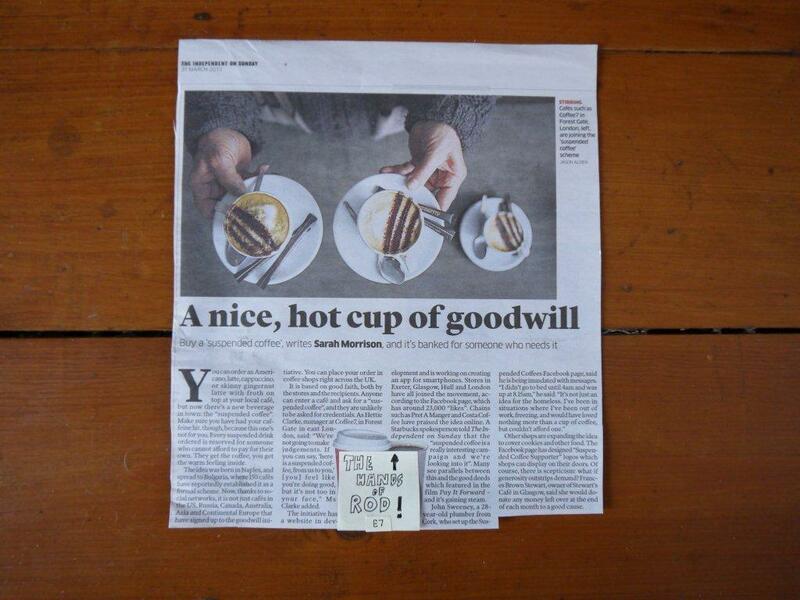 ... good to see CoffeE7FG leading the way ... Great stuff ... Wow @coffee7FG's famous! ... Good PR guys ... fantastic initiative ... nice piece on a nice idea ... how brill!! ... keep up the good work ... Hettie doing a fab job on BBC News ... Forest Gate is the news! ... And for something wonderful!! 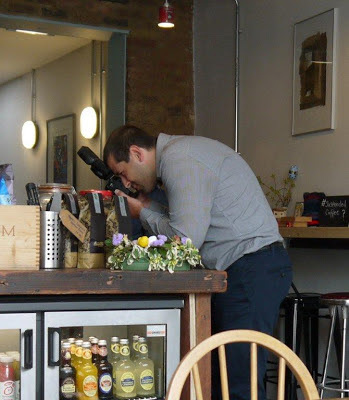 ...@coffee7FG is doing so much for the community in so many ways ... good little film here ... stupidly proud of @coffee7FG and how they are helping build our community." I am one of those who worry about the impact of social networks and computer technology on the ability of humans to operate together in the real world, to build real relationships and create that sense of connectedness essential for a healthy neighbourhood. 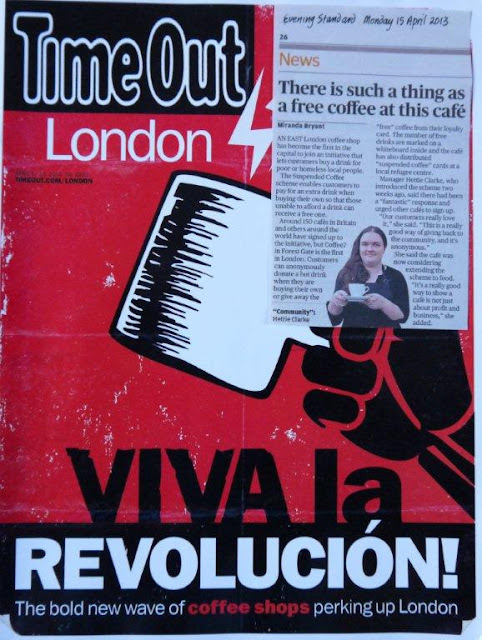 But this example of viral networking has worked so well because it is centred on a physical space made by the hard work, time, money and emotional energy put in by the group of friends who opened CoffeE7 on 1 January 2013. We all long to belong, and love the idea of an urban village. This is to do with the strength of a sense of place, particularly in Forest Gate, which is probably the most diverse place on the face of the earth. 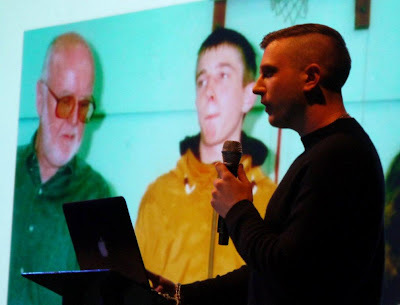 Our residents have come from everywhere, and nowhere, and there can be a damaging tension between the diversity of multi-culturalism and the social solidarity necessary to make our neighbourhood a happening and more creative place in which to live. The Suspended Coffee scheme works so well because it involves locals doing a small good deed for their (perhaps temporarily) less fortunate neighbours. 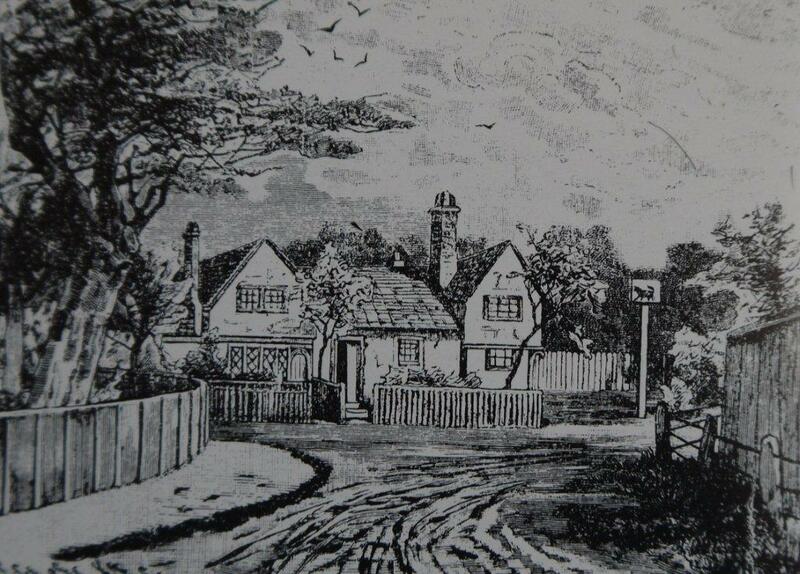 One such is Vic, a Scot with a chequered history, who lives in Windsor Road, on the Woodgrange estate. When he has the money, he pays for himself, but this morning he could muster only 23 pence. 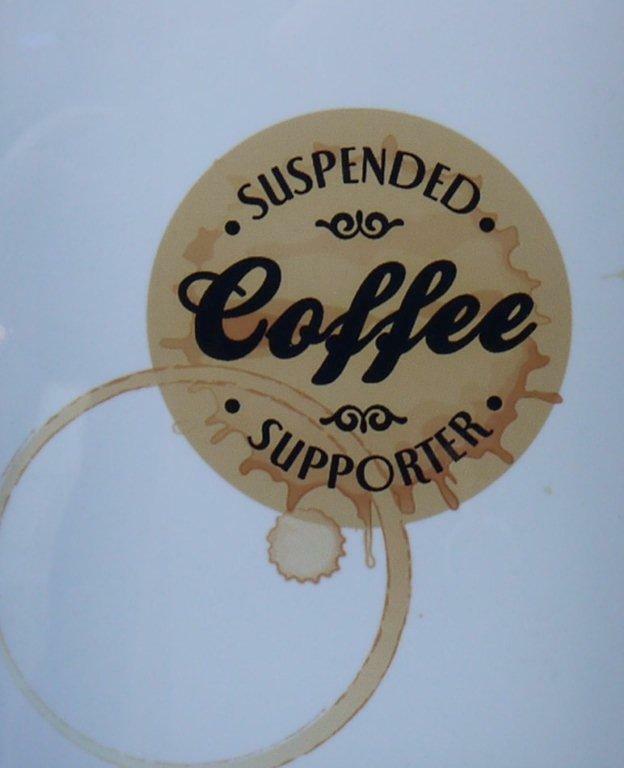 He had heard about the scheme on the radio, and was happy to ask for, and receive, a suspended mug of tea. 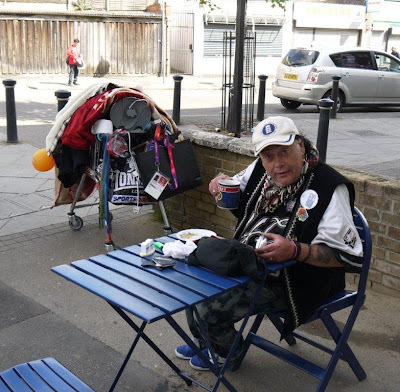 He spends his days tramping the streets of Forest Gate, searching for items in which the police might be interested. This morning he was on his way to the station with a discarded, but payable, cheque for £300, and a collection of Olympic Park security passes. He said the police were always welcoming, particularly when he - all too often - found a knife or a blade. What pleased him most was to be able to hand over a bag; the cash and cards might be gone, but mostly there were photographs and other irreplaceable items remaining, which the police could return to the grateful victim. 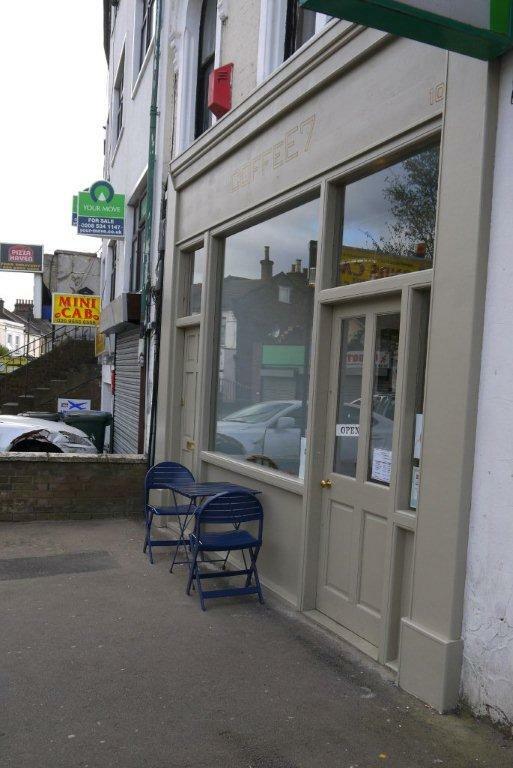 So, well done, CoffeE7 for doing so much in the on-going revival of Forest Gate. 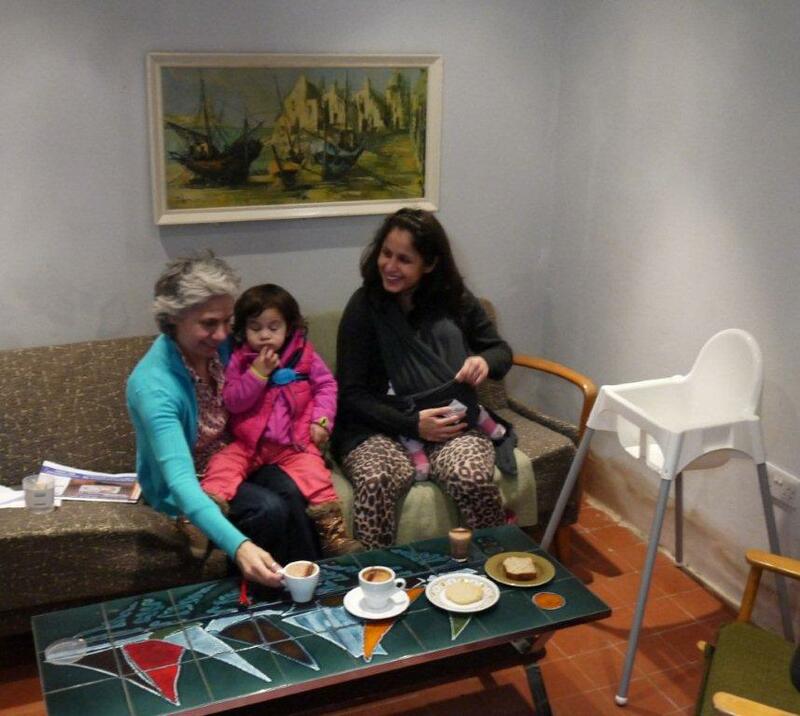 - Cafe society reaches Forest Gate! Friday 2 May sees the Railway Tavern on Forest Lane close its doors for the last time. 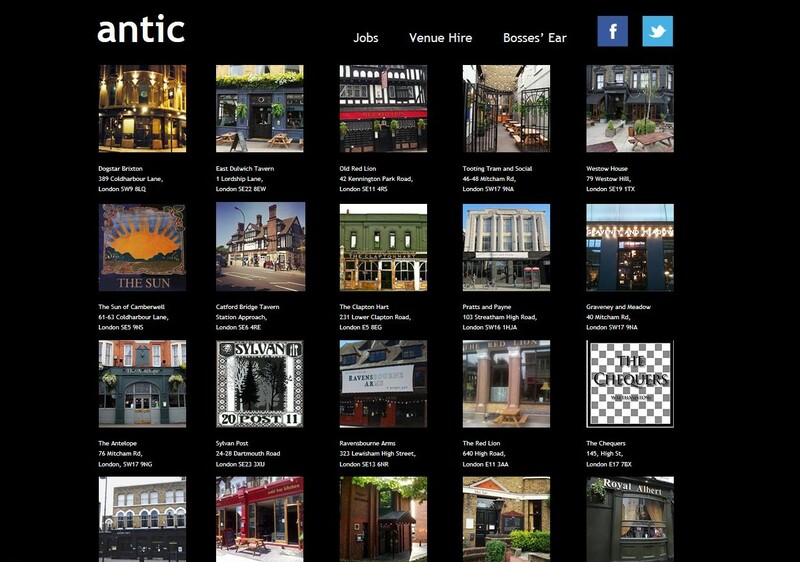 The pub has been bought by a small pub chain, called Antic, who have 24 pubs in the London area, including the Red Lion in Leytonstone. Judging by the way the company has transformed that pub, Forest Gate residents are in for a treat. Since they took over the Red Lion, the pub has won awards for: E11 Best New Business, 2012; Camra East London Pub of the Year, 2012; and Camra City and East London Pub of the Year 2012. Antic has told Lloyd Jeans, that the completion of the take-over is due any day, when they will get the keys. They hope to start a major refit pretty soon, and it certainly needs it, as the photos of Railway, taken last week, show. "We shall try and keep the pub closed for the shortest possible period and will no doubt look to reopen the front bar at the earliest opportunity, with the revised loos and rear area to follow soon thereafter", said the company's spokesman. 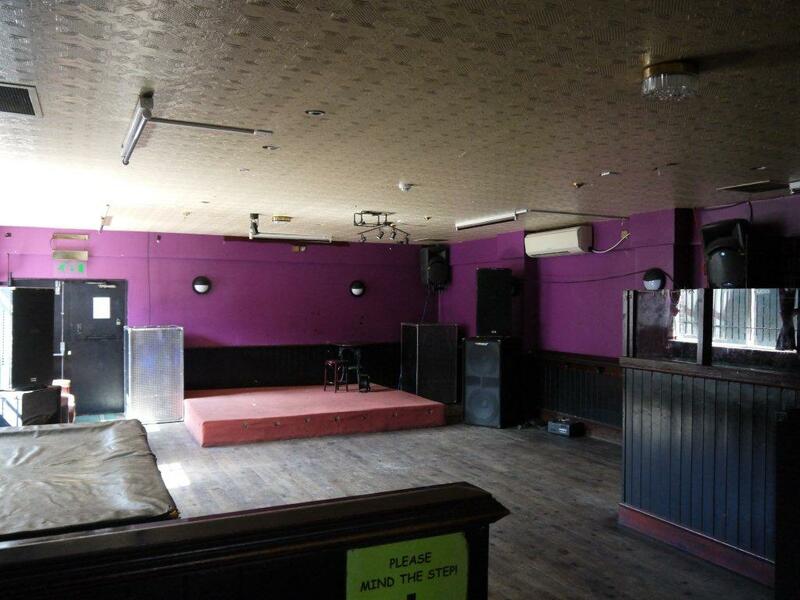 They'll be looking to open the front bar and toilets first, before moving on to refurb the back function room. 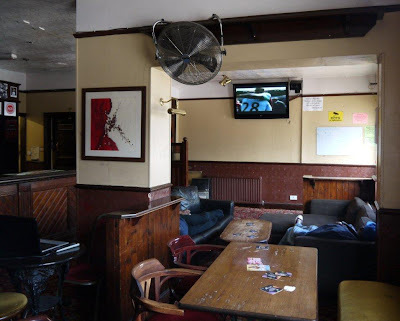 They don't yet have a manager, but intend to relaunch the pub, probably at the end of the summer, as the Forest Tavern, where their objective is "delivering a decent boozer for the good folk of Forest Gate". 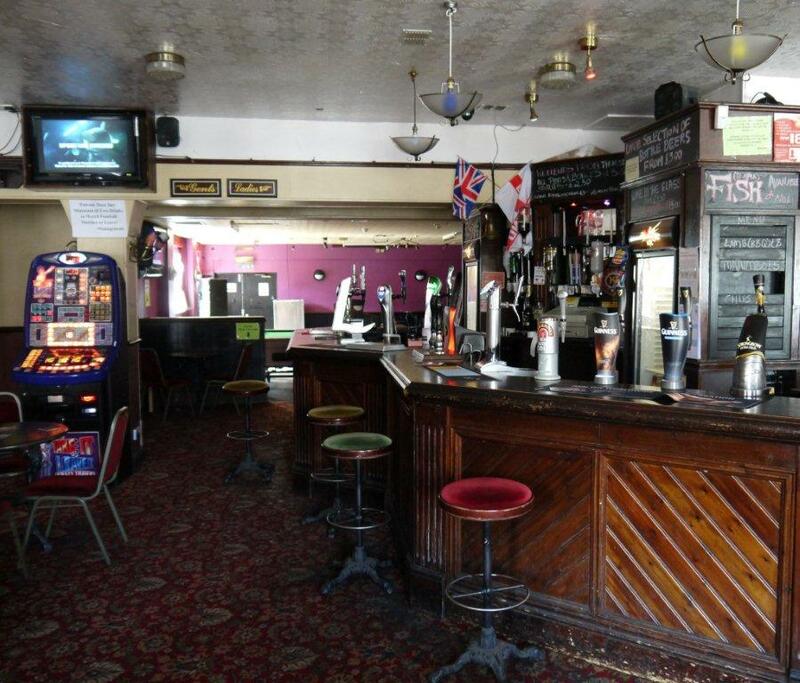 Judging by what is on offer at the Red Lion, the pub will certainly provide a major uplift for local facilities. That Leytonstone house currently has ten hand pumps, featuring the best of local, regional and micro-breweries. Their website says, in words that almost whet the lips, in anticipation: "The pub regularly hosts ale and cider festivals, DJs and parties and comes into its own on a Sunday, with newspapers, board games, Bloody Marys, live music and Sunday Roasts to die for."